If you thought Star Wars Battlefront was insubstantial, you’re not alone. The folks running EA agree, and they say they plan to add more content when the next one comes along. Yesterday during EA’s annual investors day, executive vice president Patrick Soderlund explained that they chose to develop Battlefront without a single-player campaign so they could release the game in time for The Force Awakens last summer. Responding to a hilariously blunt question about game quality from analyst Michael Pachter (who also criticized EA for the flops of NBA Live and Medal of Honor), Soderlund said the publisher plans to learn from that mistake. 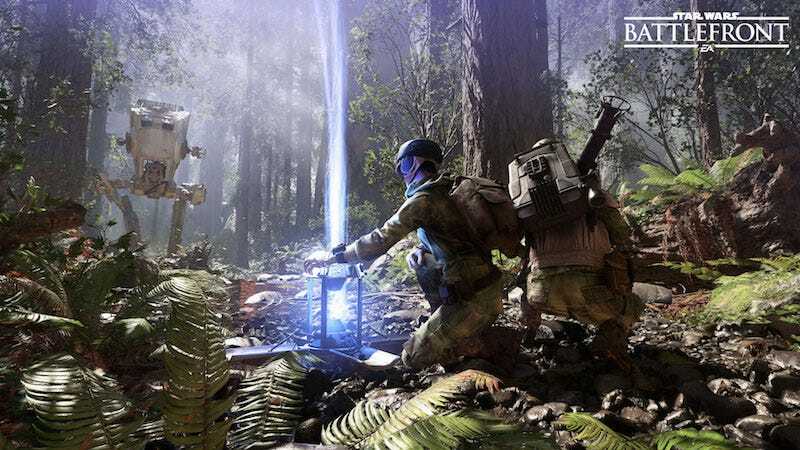 Earlier in the presentation, Soderlund had made similar comments about Battlefront, promising that the sequel to their shooter will be way more substantial.